The Internet of Things has emerged as a prominent platform for data and information sharing in the IT world. Within a short period of time it has gained popularity and is being used by a large population base. The inter-networking of physical devices, buildings, vehicles, and other items that have been integrated with network connectivity, actuators, software, sensors, and electronics, allowing the objects to accumulate and exchange data is termed as Internet of Things. With these the market for IoT has taken a boost and has given rise to several vertical markets alongside of it. One such market is the IoT cloud platform market. The global market for IoT cloud platform is expected to be benefitted by the growing adoption rate of smart devices across the globe. Factors such as inexpensive services and easy deployment are expected to make way for a better future for the market. The growing need for an advanced IoT cloud platform among small and large businesses is likely to be major triggering factor for the market in the years ahead. The rising adoption of IoT cloud platforms in countries of the Asia Pacific region such as Singapore, China, and India is expected to make the growth of the market in the coming years more lucrative and lasting through the entire forecast period. The competition in the market among the leading global and regional players is expected to sustain till the end of the forecast period. The companies are thriving to maintain their customer base and provide better facilities. The rising rate of adoption of smart devices is one of the important reasons, owing to which the global market for IoT cloud platform is expected to witness strong growth in the next few years. In addition, the easy deployment and cost-effective cloud data storage are anticipated to accelerate the growth of the overall market. According to these factors, the global IoT cloud platform market is likely to register a progressive growth rate in the near future. The research study on the global IoT cloud platform market offers a detailed analysis, providing insights into the key aspects that are predicted to accelerate the growth of the market in the coming years. 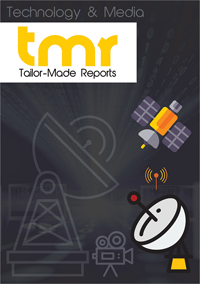 In addition, the growth drivers, current trends, key segmentation, and the limitations in the global IoT cloud platform market have been discussed in the research report. The competitive landscape of the overall market has been included in the research study to offer a clear picture of the market. The rising adoption of intelligent and connected devices and the increased operational efficiency are some of the vital aspects expected to encourage the growth of the global IoT cloud platform market in the near future. In addition, the cost-effective and the easy deployment cloud data storage and the evolution of high-speed networking technologies are likely to accelerate the growth of the global market in the next few years. On the flip side, the absence of IoT technology skills and the absence of uniform IoT standards are anticipated to restrict the growth of the global IoT cloud platform market in the forecast period. The lack of privacy, data security, data management are estimated to hamper the growth of the overall market in the next few years. Nevertheless, the rising adoption of IoT in medium and small businesses and the growing demand for system integrators are predicted to accelerate the growth of the global market in the near future. The global market for IoT cloud platform market has been classified into four segments on the basis of geography. According to the research study, North America is anticipated to lead the global IoT cloud platform market and account for a key share of the overall market in the next few years. The robust growth of this region can be attributed to the high level of adoption by several industries and technological developments are some of the key factors anticipated to accelerate the growth of the IoT cloud platform market in North America. On the contrary, Asia Pacific is anticipated to register a high growth rate in the forecast period. The significant contribution from India, China, and Singapore and the rising popularity for smart cities in emerging economies are some of the key factors likely to supplement the growth of the Asia Pacific market in the next few years. In addition, a substantial rise in the industrial automation in this region is likely to propel IoT cloud platform market in Asia Pacific. Some of the key players operating in the IoT cloud platform market across the globe are Microsoft Corporation, Amazon Web Services, Inc., PTC, Salesforce.Com, Google Inc., International Business Machines Corporation, Samsung Electronics Co. Ltd., General Electric, SAP SE, and Teli. The increasing number of players expected to enter the global market is estimated to strengthen the competitive analysis throughout the forecast period. The research study offers a detailed analysis of the global IoT cloud platform market, providing information related to the product portfolio, financial overview, and the SWOT analysis. In addition, the business strategies and policies and the marketing tactics that are being used by the leading players have been discussed at length throughout the forecast period. In addition, technological advancements and innovations are expected to accelerate the growth of the overall market in the global IoT cloud platform market.